One of our house goals this year is to redo our master closet. Why you ask? Let me show you what we have right now. And just so you know Eric has about 3/4’s of this closet… This closet is smaller so we want to maximum the space we do have. 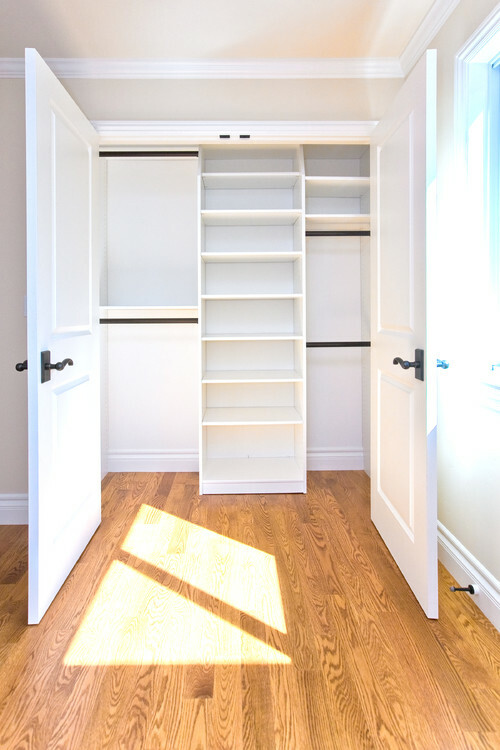 Doors – We want doors that we can see all of our closet at one time or we can both grab a shirt at the same time. Not enough rods – We need more hanging space because Eric dress clothes take up about half. So he has to fold a lot of his shirts. First up is from Design Build Love, I love how there are lots of rods to hang shirts and I love that they have drawers inside the closet. How about this closet from Always Never Done? I don’t think I would do this for our master closet but I like how it makes it feel like a walk-in closet. 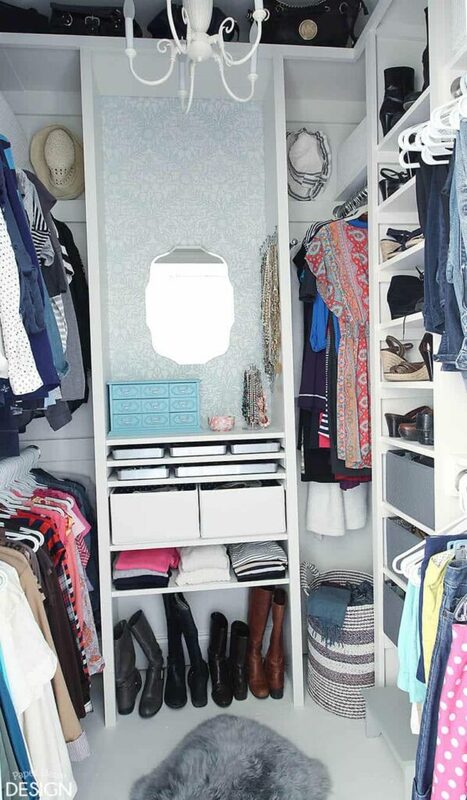 Now if I had some more space in my closet, I would create a closet like Paper Daisy Design. AMAZING!!! What do you think of these closet ideas? Do you have a favorite or any other ideas??? I am always looking for more ideas.